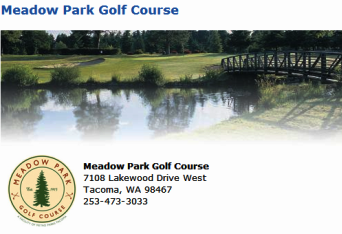 Meadow Park Golf Course -Williams Nine, is a Public, 9 hole golf course located in Tacoma, Washington. 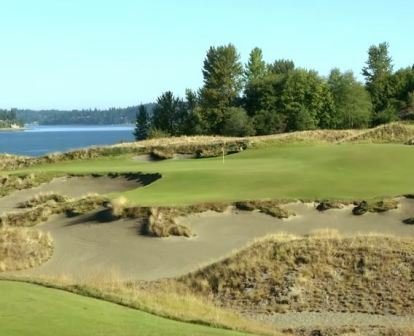 The course plays to a 9-hole par of 30 and a maximum 9-hole distance of 1,631 yards. #1 straightforward par four that is 277 yards in length. 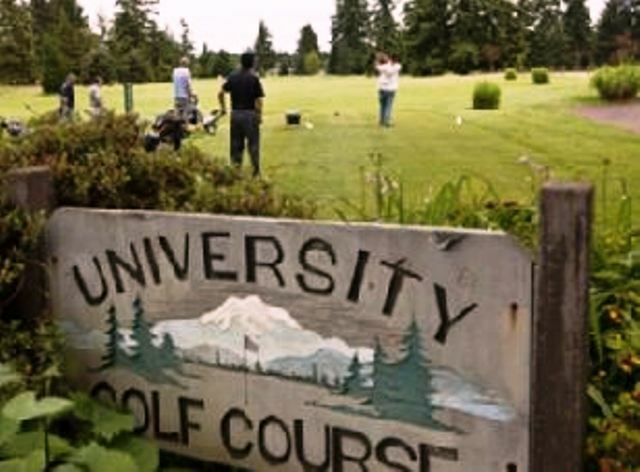 The driving range net runs the length of the hole down the left side, and trees are strategically placed down the right side. The green drops away on three sides to help with approach shot accuracy. #2 is a 129-yard par three featuring a downhill slope and a small green. The fairway is lined with beautiful oak trees. When standing at the tee box, only the back one-third of the green can be seen. Choose your club wisely or it's off the back of the green and possibly out of bounds. 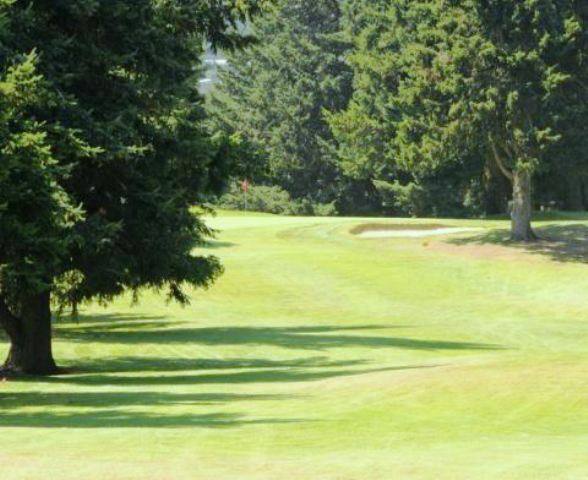 The green has a fair amount of undulation and is a true test of putting skill. #3 is a 110-yard par three that stretches uphill. Just aim at the large oak tree behind the green and all should be well. Trees line the right side from the tee to green. Don't go left though, because the boundary line fence is out of bounds! The green is large and has a great deal of slope to it, which makes for a good putting test. #4 is a longer par three at 168 yards. 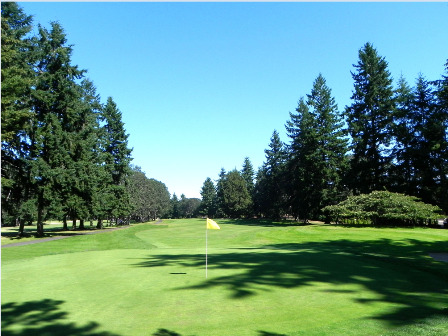 Trees line the right side and an environmentally sensitive area amply protects the left side of the hole. Be sure to look to the left of the tee box at the impressive large oak tree. The green is challenging and features extensive undulation to challenge your putting skills. #5 hole is a par four at 209 yards. There is a tall evergreen on the left side of the fairway. Environmentally sensitive areas are located on both the right and the left sides of the fairway. Hole five features plenty of birdhouses which house a number of the many different species of birds that roam the Williams Nine. The green is medium in size and undulation, so relax and make that par putt. Keep in mind that a long and accurate tee shot is the key to the hole. #6 is a straightaway 176-yard par three. 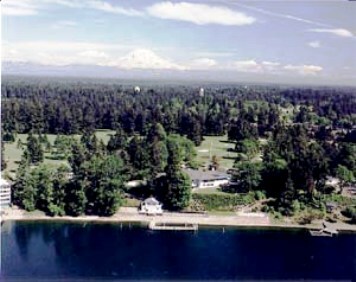 The fairway is bordered on the right by the combination of an environmentally sensitive area and a maintenance landfill, which are both inviting to the wayward tee shot. The single sentry on the left is a tall evergreen halfway up the fairway. The green is large and flat, so this is a good opportunity to get that birdie. #7 is a par three stretching out to 179 yards. There is an environmentally sensitive area behind the green and to the left of the green as well. The green is of moderate size and is relatively flat so good scores are there for the taking. #8 is a 153-yard par three. There is an environmentally sensitive area to the left of the tee box that runs halfway to the green. There is also an environmentally sensitive area behind the green to the left, so be careful. The green is medium size and is flat, so one putts are very possible. #9 is a 230-yard par four. Trees are spread out all along the right and left sides of the fairway. However, there is more room to the left side. This is the last chance for the "big hitters" to drive to the green, but watch out for the trees to the right! The green is medium in size and falls away to the front and the back.